Oy Sisu Auto Ab and VV Line have agreed about Sisu Polar truck sales and aftersales in Latvia. VV Line has a strong background and expertise in heavy transport equipment which certainly creates a good starting point for the dealership. At the same time Sisu offers a wide variety of products meant for the most demanding transport tasks, covering e.g. earthmoving, winter road maintenance, heavy haulage and raw timber transport. Sisu Polar trucks are Finnish made factory-ready products which come with international warranty and product support by the manufacturer. These key factors together with newly established co-operation are for sure something that is necessary to produce results in Sisu Polar sales in Latvia. Sisu products are presented at VV Line stand in Auto2018 exhibition. 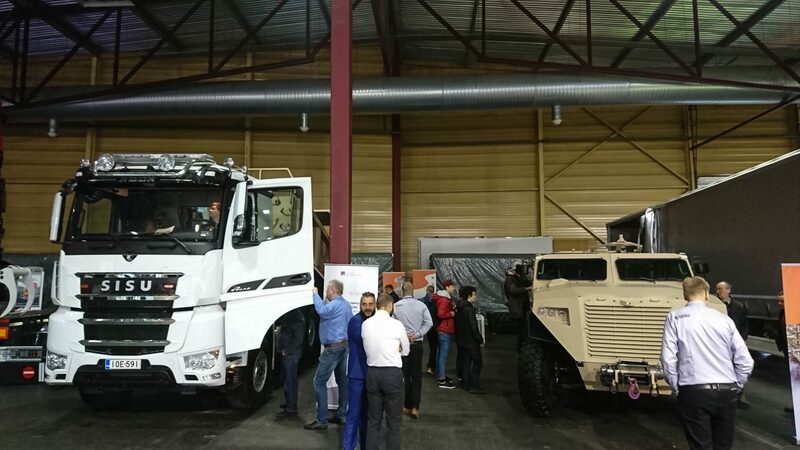 The trucks shown are Sisu Polar 8×4 factory-ready tipper truck with 625hp engine, 16-speed powershift gearbox, the famous drive disconnect and hydraulic lift features for the 2nd bogie axle, and the rigid Sisu C460 frame without subframe, together with the new Sisu GTP 4×4 armoured troops carrier vehicle. Julkaistu 6.4.2018 kategoriassa etusivu_uutiset, uutiset, Yleinen, kirjoittanut Rasmus Rokka.